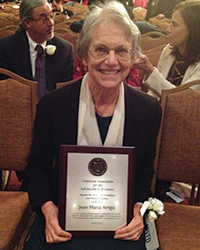 The American Association for the Advancement of Science (AAAS) has awarded its 2015 Scientific Freedom and Responsibility Award to psychological scientist Jean Maria Arrigo, who publicly challenged the American Psychological Association’s efforts to allow and conceal the involvement of psychologists in brutal CIA and US military interrogations. The AAAS award honors scientists and engineers or their organizations for exemplary actions that foster scientific freedom and responsibility. Awardees have been recognized for outstanding efforts to protect the public’s health, safety, or welfare; to focus public attention on potential impacts of science and technology; to establish new precedents in carrying out social responsibilities; or to defend the professional freedom of scientists and engineers. Previous award recipients include APS Past President Elizabeth Loftus, who was honored for the impact her pioneering research on human memory has had on the justice system. Arrigo, whose work centers on ethics and national security issues, was named to APA’s Task Force on Psychological Ethics and National Security (PENS) established in 2005 in response to press accounts revealing the role psychologists played in coercive interrogations at US-run detention facilities. The panel was tasked with providing ethical guidelines for psychologists’ participation in national security detentions and interrogations. Most of the task force members were representatives of the military and intelligence communities. Arrigo called unsuccessfully for broadening the task force’s mission to address whether APA should declare psychologist involvement in coercive interrogations incompatible with the profession’s ethical obligations. She also endorsed the minority view that the Geneva Convention’s human-rights standards should govern APA’s position rather than the standards adopted by the Bush administration. Additionally, Arrigo voted against the majority’s decision that the task force deliberations remain secret. The PENS task force report, written by APA’s chief ethics officer, asserted that psychologists’ participation in national security interrogations served to keep these operations “safe, legal, ethical, and effective,” a claim drawn directly from Department of Defense (DoD) instructions. Arrigo acquiesced to the adoption of the task force’s conclusions based on a promise that this was only a first step and that further ethical concerns would be addressed at subsequent meetings. When it became clear to her that this promise would not kept, Arrigo made public the entire PENS listserv correspondence, all drafts of the PENS report, and her personal notes. She joined the Coalition for an Ethical Psychology, which spearheaded an effort to repudiate and annul the flawed PENS report. “Arrigo raised concerns and objections both during panel meetings and repeatedly thereafter, sounding the alarm over the panel’s close ties to the military and its failure to ensure psychologists wouldn’t be facilitating torture,” said Darshan Karwat, an AAAS Science and Technology Fellow at the US Department of Energy who nominated Arrigo for the award. In 2014, The New York Times reported that APA approved the role its members played in interrogation techniques that were widely believed to be torture. In response, APA initiated an independent review that ultimately confirmed Arrigo’s longstanding suspicions. The subsequent Hoffman Report found extensive collusion between APA and DoD officials over several years, with some text of the PENS report copied directly from emails between APA’s ethics officer and DoD task-force members. Relying in part on documents provided by Arrigo, the Hoffman Report concluded that the PENS report was tainted by significant conflicts of interest and was primarily a public relations effort to quiet growing outrage among psychologists and the public over the profession’s reported involvement in abusive interrogations. Under pressure, the APA ultimately rescinded the PENS report in 2013 and last year revised its ethics policy to prohibit the participation of psychologists in national security interrogations. Arrigo’s actions “attest to her courage in continuing to stand up and speak out for the ethical behavior of members of her profession, the integrity of internal task force efforts, the importance of rigorous international standards in US national security policy, and the immorality of torture, even in times of crisis,” the selection panel said. 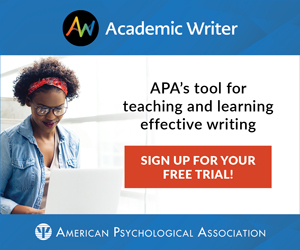 I appreciate this news and wonder why universities cannot even boycott APA for its involvement, its cover up and its reluctant (if true) reversal of policy.